The launch of the GeForce GTX 1660 Ti seemed to place a full-stop to rumours about any RTX 20 series cards being released below the RTX 2060. Additionally the rumour mill changed its focus to further members of the GTX 16 series. However, Dell upset this applecart a few hours ago by mentioning a RTX 2050 GPU option within the smallprint on the Dell G5 15 Gaming Laptop product pages. NoteBookCheck was first to pick up on what now appears to have been a simple web editing slip-up. 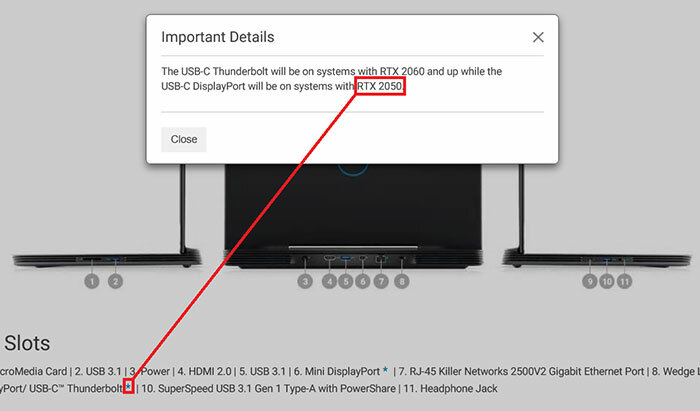 The RTX 2050 text only appeared in a small popup options box, concerning the laptop's Thunderbolt connectivity, so it appears to have been a placeholder that was perhaps written-in weeks ago, ahead of the GTX 1660 Ti reveal. As you can see in the screenshots above and below, old and new, the reference to an RTX 2050 has been replaced with 'GTX 1660Ti'. Though a new lower power RTX option was a possibility in the laptop market, the RTX 2060 has already been through a severe trimming of RT cores which makes real-time raytracing workloads a challenge. Further cuts being made to create an RTX 2050 might have been unattractive, unpalatable, or even unacceptable. The source site's speculation that the RTX 2050 text might have instead indicated that a mistyped GTX 2050 was on the way is also moot, now that Dell has updated the listing. It suggested that the GTX 2050 might be a mobile version of the GTX 1660 Ti but looks to have put too much theorising behind a simple typo. 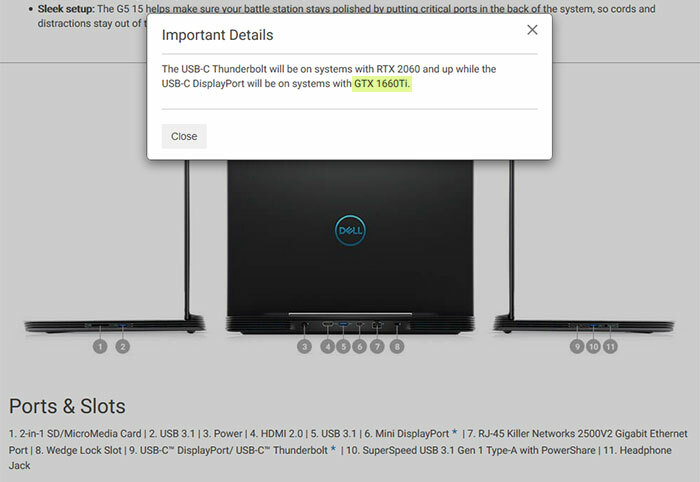 Admittedly Dell is a massive systems maker and shouldn't be making such typo slip-ups, but neither should it be unintentionally leaking unannounced PC components this way. Executive summary: RTX 2050 = no.